Spin This: "Ship to Wreck," "Wha Kind of Man," "Delilah"
Balanced album, less dreary and dark than Ceremonials. Features fireworks on rock band jam "Ship to Wreck"
Absent of something with the major crossover pop factor as "Dog Days Are Over" or "Shake It Off"
How Big, How Blue, How Beautiful stuffs its best material towards the front with “What Kind of Man” playing like a “You Got the Love” clone,” the title track sounding like a Lava lamp hymn and a rock ‘n rolling “Delilah” showing off more of Welch’s fierce background vocal prowess. But that doesn’t mean the rest of the disc is absent of good moments. Welch pours a bundle of teen spirit on “that original lifeline,” the hookiest part of “Third Eye.” And the calm lo-fi atmosphere of “Long & Lost” is blessed with a kind of grace that is usually lost on full-length LPs of this magnitude. She makes room for these type of ballads, balancing out the raucous rock with the content that made Ceremonials so avant-grade. 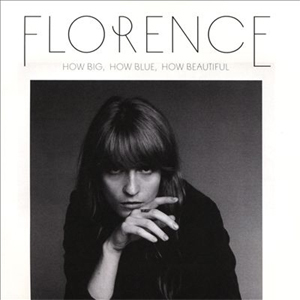 How Big, How Blue, How Beautiful doesn’t make a big critical splash like the introductory Lungs, nor does it capture the euphoric darkness of its follow-up, but it feels like the better album of the three. The ardent production allows the band to sound like a self-contained unit and not simply a studio experiment. 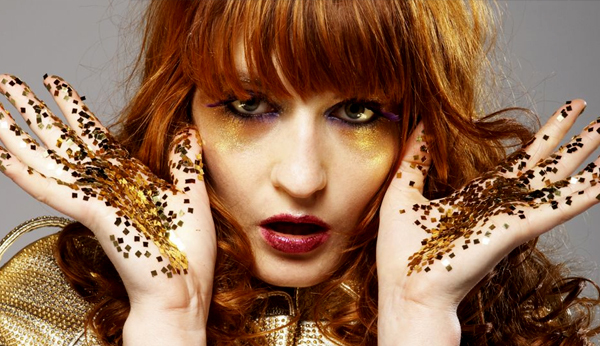 Welch also pushes her songwriting further up the ladder of dreamy rock. With the lack of something as explosive as “Dog Days Are Over” and “Shake It Out,” it’s still enough to satisfy fans, and add new ones.